Shaurya settled at the daybed waited patiently for her to come out from the bathroom as he check his messages. The bathroom door unlocked and Mehak was coming out as she was adjusting her saree’s center pleat exposing her midriff to her navel. Shaurya’s eyes fixed on her. He let out a groan which startled her and she agitated as she sees him looking at her. She looks dazzling in that gold net saree. The see thorough material exposes her upper body and he takes a deep breath looking at her without blinking. She ignited the fire in him. He felt his “member” is hardened just by her look and now he terribly needs a cold shower all thanks to his innocent wife. She turned herself from his laser sharp gaze. She felt like herself sparrow was pinned down by peregrine falcon. She adjusted her saree and asked why are you looking at me like that? He bite his lower lips and asked like what? Mehak stuttered and said like never seen a girl kind of look. Shaurya take a few steps closer to her back and his hot air hit on her shoulder blade, in his sensual tone he replied yes I never seen girl changing in my room that’s why. Mehak closed her eyes in embarrassment and mentally cursing herself for opening the door without seeing, she speak falteringly I thought you will be coming late so thought of changing in the room but forgot to lock the room door. He grinned victoriously as he made her shy, he slowly brush passed her and went inside the bathroom locking the door heading to the cold shower to calm his mind and body. By then Shaurya came out with few suits in his hand and asked her to choose one, she finished her makeup and was fixing her earring when he stands with the suits. She replied bluntly anything you like. He smirked at her and chose to wear a simple suit to wear and she pass by him to leave the room so he can change. Shaurya watch her in the corner of his eyes her hair was done in half up and half down with light make up and thick black kajal on her eyes, pale pink lipstick, and a large bangle adorn in her hands. She looks perfect in this saree. Shaurya dressed up while Mehak goes to see maa and maasi. Maasi took some kajal from her eyes marked behind Mehak’s ear (to protect the bearer from evil eye). Shaurya came to the living room and before they leave, they take blessings from the elders and maa ask them to be safe and enjoy the party. Mehak nodded as she followed Shaurya. Naughty ran to Mehak she kneel herself to his level, and patted his head gently and asked him to behave himself and she called Awara, he came she asked him to take care of Naughty and give him dinner, she thanked him and goes out to the car. 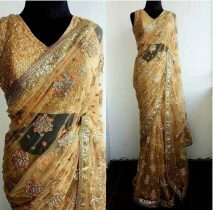 Shaurya quickly went to the front passenger seat to open the door for her and helped her to pick the saree material flowing on the ground pass it to her. She take it from him and he close the door and went to the driver seat. He ignited the car and drove to the wedding venue. 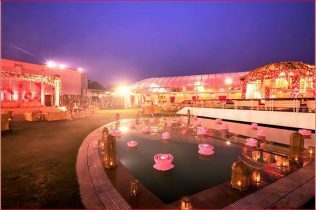 The venue located an hour from New Delhi. Delhi’s traffic in peak hours are quite terrible and till they exit to the highway it was real havoc. To stay calm Shaurya turn ON the radio, the RJ was giving some social awareness messages and the next song played Tere Bina from movie Guru. Once in a while Shaurya steals gaze at Mehak who is patiently watching the view from her side window. Her fingers tapping gently while she enjoys the view and the music. Shaurya remembers, before their marriage took place, he always make time to spend with her. He always find some excuses from his in laws to bring her out and to get away from the hungry media folks who is always in need for buzz news so he doesn’t want to give them the chance. He will drive out of town to spend time with her. During their drive, Mehak will be talking and he love the chatterbox Mehak. She will be singing or humming the song plays in the radio. He will say something and she will get annoyed and make her usual angry pout. Her lips, whenever she twitches them while she is in deep thinking, or when she gets annoyed how she put them or when she gets nervous she bites her lower lip. He enjoyed seeing each and every expression of her. She likes to be simple and doesn’t like anything extravaganza. Since she is a foodie, she loves to have daaba food (Indian street food). Once in a while both will go to the daaba where they both had dinner previously when she went to the pub with Ajay and Shaurya came to her rescue and when his car stopped in the middle of highway both walked to the nearest daaba to have their dinner. Mehak loves the food there and even Shaurya likes it. While eating he will tease her saying I still remember your expression when the two truck drivers wants to carry you with them. Mehak pouted at him and said very funny, you carried me on your shoulder and wants to send me with them what do you expect to be? I thought you hate me so much till you want to pack and send me off. He chuckled at her and said I am not that bad okay, even I hate you I will not do such things. My mom has taught me how to behave with girls and treat girls well. Mehak rolled her eyes. Did maa also taught you how to annoy girl or challenge them too or stare at them till their breathing stop? Mehak closed her and bite her lower lip for saying the last word? Shaurya’s eyes grew wide and he stop the car in the road and asked so when I see you like that what do you feel, tell me Mehak? He neared her with the eyes filled with desire. Mehak’s heart rate increased seeing him in that same demeanor. She was like what is he going to do now? Suddenly a truck horn sound break their moment which made Shaurya clenched his jaw and slam his hand on the steering before starting the car again and Mehak giggled seeing his disappointed look as she pull his cheek playfully to cheer him up but he didn’t pay attention. To gain his attention she touched his hair and he immediately yelled don’t touch my hair Mehak. Mehak laughed seeing him and said sorry baba I won’t do that again. His flashback ends and his view fell on his soul sitting next to him, it’s almost 35minutes they are on the road and they didn’t utter a single word. He was excited as she agreed to follow him but seeing her in silence especially when only two of them it made him furious. To gain her attention he purposely speed up. When he pressed the accelerator she turned to see him and wonder what happen. He smiled inwardly as he made her to see him, seeing the road in front, there are many trucks passing and Shaurya over take these trucks and press the horn in annoyance. Mehak breaks her silent, if you keep going in this speed we will not be going for the wedding but straight to see Bhagwan. Also with us we will bring the other innocent people in the road too. Shaurya bite his lower lip as he amused with her sarcasm. He wants to pull her leg, so what you want me to do, these trucks are so slow and we will be late for the wedding. She inhale a deep breath and said, it’s okay to be late is better safe than sorry. Drive carefully. Shaurya’s mind was again become happy as he made her to talk to him. He mentally applauded him for doing something to gain her attention and as usual it did work. He was proud of himself and later they reached the wedding venue. It was a huge venue with rain drop lights decorated all the way to the hall. 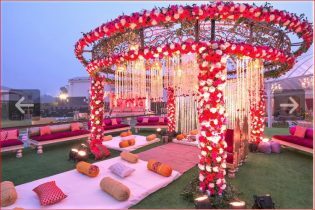 Both walked inside after parking the car and Mehak was astounded to see such a heavy decoration as she never attended elite people’s wedding in her life. As they walked inside the venue, they were greeted by the host and their family. Shaurya introduced Mehak to them and some of his business acquaintance he met there. This was quiet overwhelming to Mehak as she sees all in extravaganza setup and wonders how much money they would have spent for all these decorations alone. She sees a huge peacock stands in the middle of the hall and walk towards to see it closer. 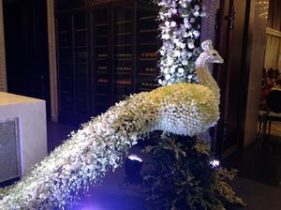 It was a huge peacock decorated using only fresh flowers. She took out her mobile and took a picture of that as she thinks this is quiet unique. Although Shaurya busy with his business people, he saw Mehak walks to the peacock flower decoration to see it closely. After sometime he took 2 glasses apple juices from the tray carried by the waiters and walked toward her. He pass the glass to her and she looked at him for some seconds before he says its apple juice not poison, she took it from him and start to drink them slowly. As both stands seeing around some ladies in their 30s to 40s came there and asked if he Shaurya Khanna from ISC? He nodded yes as his smile at them and Mehak give them a fake smile to pretend. One of the lady came to Mehak and said she looks beautiful compare to the TV. Mehak just continue to smile as Shaurya amused with her. Another lady said Mr Khanna when are you going to do another TV show, this time bring your wife as a judge? Another lady said both looked like match made in heaven. Some wanted to take selfie with them and later they were ushered into the outdoor where the traditional wedding ceremony place to take place. 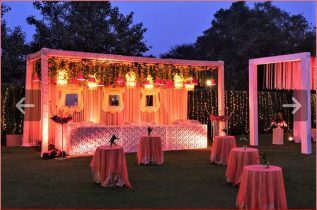 The lawn was decorated fully floral decorations and the lighting absolutely played along to give the party mood. Everywhere it screams luxury. The bride arrived in her pastel floral bridal wear. Both the groom and bride took their places at the mandap. Both keep whispering excitedly to each other as the PanditiJi recites the mantras. As the kanyadaan ceremony over now PanditiJi asked them to take the pheras in front of the Agni (sacred fire) and after this the groom applies the sindoor to the bride’s forehead and tied the mangalsutra at her neck and the ceremony continued as the newly married touch the elder’s feet for blessings. During the ceremony, Mehak remembered her wedding ceremony. How she excitedly waited to be Mrs Mehak Shaurya Khanna. She never dreamt a luxury ceremony or even she never had imagined how her life partner should be. Maybe it’s because she didn’t have her parents and she always thought herself not beautiful, modern or attractive. When first time Kanta chachi suggested Ajay Parmar she didn’t have any choice but to go along with her chachi’s choice. But after talking to Ajay, she realized that he is interested in career oriented woman, who can support him financially and his future wife should be attractive, modern and outgoing type too. Mehak did not fit into any of these qualification. She is introvert and afraid to make eye contact with anyone. But Kanta chachi didn’t give up, she tried Mehak to wear modern outfit unfortunately Nehal’s size and hers was totally different and it didn’t goes well with her. Pammi aunty wants to join Delhi Haat cooking competition and she approached them to help her to prepare the dishes so she will marry her son to her. Yet Mehak agrees as for her nothing is important than her beloved family. Somehow her fate seal her to an unknown destiny and she met the famous TV star and Celebrity Chef The Shaurya Khanna. It did not stop just there but to save her family’s name she joined the India Super Cook competition and daily face off with The Shaurya Khanna. After winning the competition with cash amount Ajay and his family came to them and propose to marry her. She was naive and due to dadu’s pressure she agreed. Again when his real intention known that he is only interested in the cash money he won and he will use her and dump her later saved her from marrying him. She felt Shaurya is her savior as he saved her from marrying that jerk , she thank God for sending Shaurya to stop the wedding as she also felt there is no love nor trust which is fundamental for a relationship. Later when she started to work at KD’s hotel she learnt a lot in working in 5 star hotel’s kitchen. Though the facilities are superior compare to her Rattan Chacha’s daaba but in short span of time she learnt on professionally managing in kitchen and also her knowledge in ISC came in as aid for her. Later when she start seeing Shaurya more often and confession of both she felt great amount of happiness she felt the feeling called Love and its truly different than the love she felt for her family or her friend. The feeling made her brave and do all the unimaginable stuffs. But when their first marriage stopped because Shaurya run away as he was more interested in her mother’s recipe book than her, it breaks her apart but she felt it was just a lie because she felt different when being with him. She felt his feelings are genuine towards her and she feel secured being with him. Though after some fiasco she signed for divorce, but her heart yearns for his love. He is just bad in the outside but deep in him there is the good qualities that only she knows and she wants him to see his goodness too. Later when chachi brought Sandeep to marry her, she concealed her feelings for Shaurya and agree to marry him as she thinks this is the best for all. Her family will not accept Shaurya and Shaurya is unclear about his feelings. Later he confessed his feelings towards her and she accepted him. One thing she realized that from Ajay, Sandeep even Shaurya all are same. They all want to marry her. Unlike Ajay and Sandeep, Shaurya loves her immensely. He is overprotective about her. His action speaks louder than anything. Although she is no match to him from his education level, to his social status and many more but he loves her madly and he didn’t even once pointed about her weakness. He even willing to give all his properties and wealth to her when chachi asked him to proof his love for her. He didn’t think twice but transferred all to her and to their future children. But something happens after their marriage and she left him and all for good. But he didn’t stop but found her at Manali and bring her back to her family. She turned her head to see to his direction as he busy waving at some people, why is he very nice to me. Am I that important to him? I am ignoring him giving him hard time every day but not even once he shown his anger or disappointment. Can yearning for love changed him very much when I left him? If my love changed him that much then what happen to me, where is the love which I was showering on him tremendously and why is it not there in me, she questioned herself as she watches the ceremony. During the varmalai ceremony, Shaurya was drowned in his wedding memories. How Mehak stealthily made him to bend and she put the garland around his neck. My little naughty wife, she is enchanting. When the bride came in to the venue his mind drift back how Mehak walk in to the stage being a shy and heavily blushing bride. His heart summersaulted seeing her walking towards him. She looked stunning as bride and he can’t wait to start his life with her officially as husband and wife. As the crowd claps and laugh when the both bride and groom giggle and wants to play tricks during the varmalai, it reminded how he did the same and his brothers carried her so she can put the varmalai on him. Many didn’t want him to get married and live happily like his aunt and nani he over calm all to make her his but the truth came out about the accident on his wedding day was unexpected. He was assuming all these while the victims survived the accident but his maa hide the truth so he won’t end up in the jail. 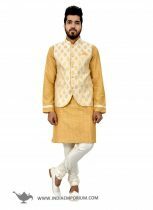 He wants to clear himself before taking the pheras but his maa stopped him and ask him to tell her later as she will be broke if this wedding stops. Yes Mehak had engagement broken middle way, our first marriage was disaster how if I tell her this and her family stops the wedding so I will marry her first and later will talk to her about it. He was feeling selfish because he can’t live without her. He turned to see her, her eyes were watching the ceremony but her mind has drifted away, he assume maybe she is like me thinking about our wedding memories. He smile looking at her for a moment as the host announce is time for dinner and asked us to proceed to the lush green lawn to enjoy the buffet. He get up and sign at her and she nodded followed him. They reach the buffet station and pick the food and found a table to settle down. As all settled down enjoying the meals, the host organized famous singers to entertain the guests and make the even livelier. Mehak seems to enjoy the songs sung by the singers. Some of the bride’s friends and later the groom’s friends join the dance floor for performance and the entire crowd hubbub to cheer as they dance. Mehak was amused seeing them and later the bride danced with her friends for some Hindi movie song. The host announced to all guests to join the dance floor and went to join them for dance it was only Shaurya and Mehak with some other guests sitting at their seats. Some of the family members came and pulled Mehak and Shaurya to dance along with them. Without much choice for courtesy sake they danced with the rest of the guests. Shaurya saw Mehak was with some ladies dancing and she pushed her hair to her shoulder, he got alarmed and quickly wave at her to come to aside. She was devoted why he is asking her to come out. She asked him what happened. He bite his nail and slowly said your blouse knot has come out that’s why I called you. She immediately try to check and was not able to see it. She stands at the wall covering her back and asked him what to do now Shaurya in her innocent tone. He was amused and asked her to wait here near the wall so anyone will come to help but everyone is enjoying the party inside and how long she can stand like that. Mehak asked can you suggest me any other help. Shaurya asked can I tie the dori. She immediately shakes her head in No but she realize that’s the only choice left now. She called his name and said okay you tie for me but don’t see me okay? He asked her in annoying tone, how to tie when I can’t see? She thought for a second he is right, how to do if he close his eyes. She reluctantly turned her back to him. She push her hair to her shoulder, as his fingers went to take the two of her blouse ties his back of fingers caressed gently at her back which made her body went rigid. He purposely blow some air on her back which created goose bumps in her. An unknown pleasure knotted in her. He knows how much his touch affected her and he thanked his lucky stars silently chuckled. After tying the knot he gently caressed her back slowly with his forefinger and as he completed the knot, he gently brushed her nap touching her earlobe pushing her hair back letting them dangle at her back. To break her from her reverie he touched below her midriff the waist part and asked her to breathe which she slowly turn to see him and said thank you .She turned beetroot from his action and he was over the moon to see her reaction. What’s there in living life without You, my partner? The post PART 26 ANKAHEE ANSUNEE BATEEIN MERI DIL KI AABMDK appeared first on Telly Updates.